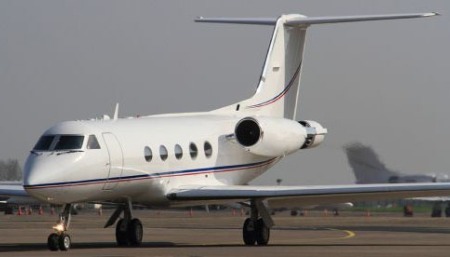 Padraig Harrington is selling his 1986 Gulfstream IIIPadraig Harrington has put his luxury private jet on the market - just as his career looks set to take off again. 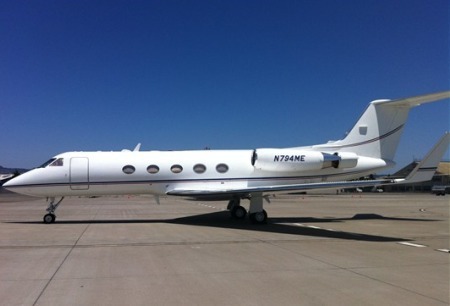 The Dubliner is believed to have splashed out around $2m on the 13-seater Gulfstream III nearly two years ago. But after racking up hundreds of hours of flying time in what he considered an essential but expensive tool of his trade, he might even turn a small profit on the sale after massive running costs forced him to bail out. Harrington kept the jet at Weston Airport in Leixlip but left it in the US during the FedEx Cup play-offs in August and is now in Bermuda for the $1.35 million PGA Grand Slam of Golf, which starts on Tuesday. He’s certain to pocket a cool $200,000 just for turning up as a last minute replacement for Open champion Ernie Els, who pulled out with a sprained left ankle. Chasing a winner’s cheque for $600,000, Harrington will be keen to avoid the second place money of $300,000 after losing in playoffs to Angel Cabrera and Jim Furyk in 2007 and 2008. And he’s confident that he can make it third time lucky and finish the season on a high as he bids to return to the world’s elite. He said: “I felt like I left something behind the two times I played and lost. It’s a great event and one you’d like to have on your CV. Hopefully it will be third time lucky. Ironically, it was when Harrington moved into the jet-set that his career went into a hair-raising tailspin. In 2011 he had his worst season since he turned professional, falling from 23rd in the world at the end of 2010 to low of 96th the week before this year’s Masters. But after finishing eighth at Augusta and fourth in the US Open, he is now 57th in the world and close to getting back into the Top-50 for the first time since June last year. The Dubliner, 41, could have made it back into the Top-50 with a Top-5 finish in this week’s BMW Masters in Shanghai. But he pulled out to face Masters champion Bubba Watson, US Open champion Webb Simpson and 2011 US PGA winner Keegan Bradley - a stand in for absentee Rory McIlroy - at Port Royal Golf Course in Bermuda instead. “Sure I could have won world ranking point but I still have another couple of events this season with the Barclays Singapore Open and Dubai World Championship - three if I decided to play in Hong Kong. “I’m exempt for all the majors next year and at the moment I’m in the top 64 who get into the WGC-Accenture Match Play. Harrington was leading the Portugal Masters midway through his second round before a couple of three-putts derailed his challenge and he ended up 16th behind Shane Lowry after an average weekend. Padraig Harrington gets the Bubba touchInsisting his putting was not as bad as it looked at times, he said: “I only missed four putts inside eight feet in Portugal. You can do that and still contend. 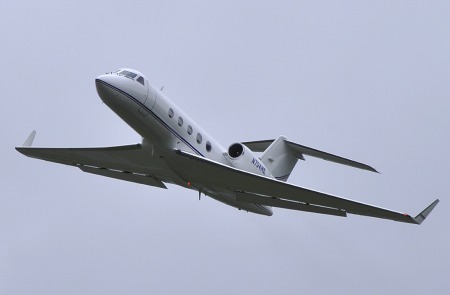 As for the jet, the 13-passenger flying machine is a top of the range model and industry experts believe he could even turn a small profit on the sale. Before he bought it he admitted that it would never be able to justify its running costs - just like billionaire Warren Buffett. It’s fitted with five single cabin seats “in cappuccino leather”, two double club seats and a four-seater divan that doubles as a bed. Harrington regularly used the jet to travel with his family and enjoyed every luxury in the book. The plane has a Sony DVD Player and VCR, a top of the range sound system, two flat screen TV monitors, satellite internet, a Nordskog convection oven, an Omni Fax/Copier, a Braun coffee maker and dual, eight-man life rafts. While Harrington is believed to have loved his toy, which made it easy to travel with his family and helped him overcome the effects of jetlag, it was costing him a fortune in fuel and maintenance costs and just had to go. 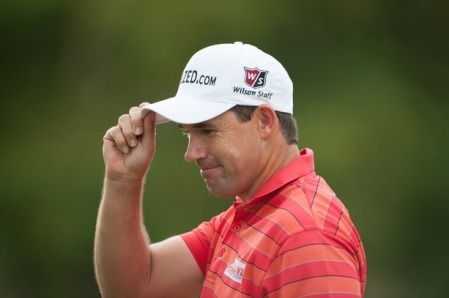 Padraig Harrington is happy to sacrifice world ranking points for another chance to win the PGA Grand Slam of Golf. 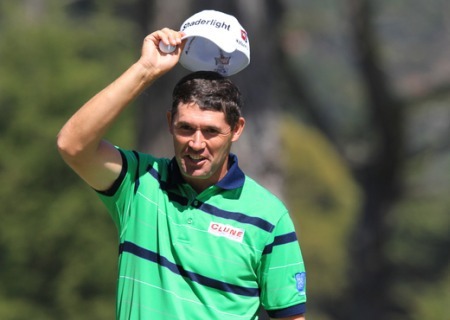 Picture by golffile.iePadraig Harrington has been handed the chance to complete some “unfinished business” and add the $1.35 million PGA Grand Slam of Golf to his CV next week. Padraig Harrington leads the PGA Grand Slam of Golf thanks to an opening 66. Picture courtesy of PGA of America/Montana PritchardPadraig Harrington couldn’t resist talking about his putting despite firing seven birdies in a 66 to take the lead in the 36-hole PGA Grand Slam of Golf in Bermuda. Harrington: "I see other peaks ahead"